As a precast manufacturer, we are constantly finding new ways and techniques to improve the quality of our products. All products go through extensive testing to ensure the highest quality in the industry. 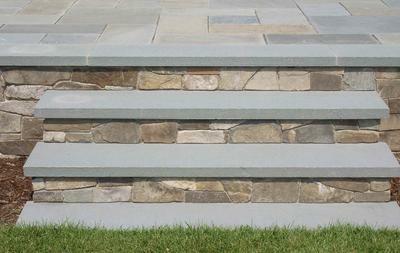 All of our concrete stair treads are designed to last through the toughest weather conditions. We seal all products with high quality sealer before they leave our facility. Unfortunately, the liabilities associated with precast concrete treads that are not maintained may become extensive or even hazardous. Fortunately, we offer the solution. Our maintenance program is designed to give the treads the maximum life expectancy possible. Maintenance programs are custom to each applicant. Contact our sales staff for pricing.